Yeddonba map. From Top Walks in Victoria. 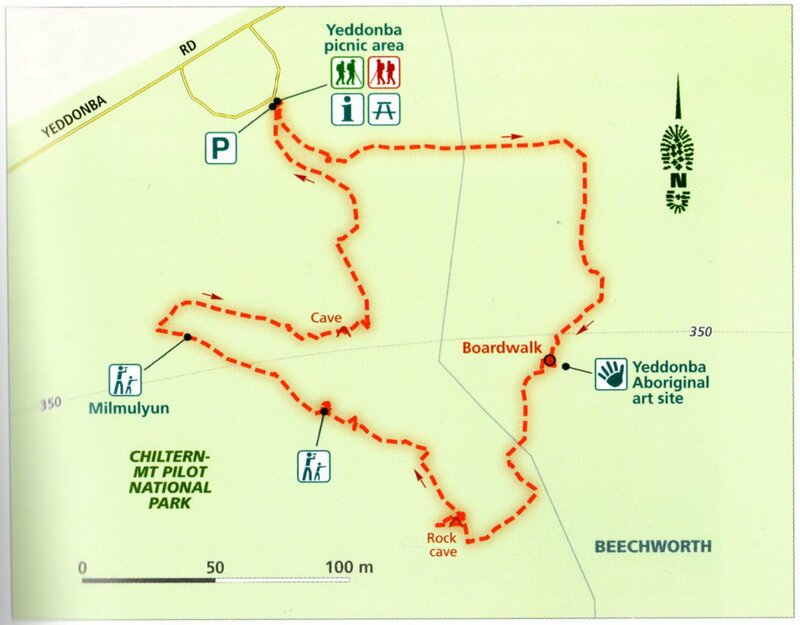 This walk at the foot of Mount Pilot and features many Aboriginal artifacts including a rock painting and cave. The painting is difficult to distinguish from the surroundings but a helpful sign shows an enhanced image of the artwork. Other signs throughout the walk tell the reader the story of each place and this helps making it an interesting walk. The light was beginning to fade when we started and this made for some beautiful light at the lookout. The 750m seemed long to us, probably due to being tired from the White Box Walk done just before.